Yesterday morning Ryan and I ran the Vista Strawberry Festival 10K. This race holds a special place in my heart because it was one of my very first races when I started running. In 2012, when I was training for my first half marathon, I ran this 5K and have been back every year since. headband, Momentum wrap and QALO wedding bands. With the race starting a 6:45am, we figured we'd leave a little after 6am to get over and parked before the starting gun went off. We were able to grab our bibs the day before at a local car dealership so we didn't have to worry about it race morning (it is normally easy breezy, but we didn't want to have to go back to the car to drop off our shirts and goodies since there's no gear check). The temps were decent for the race. 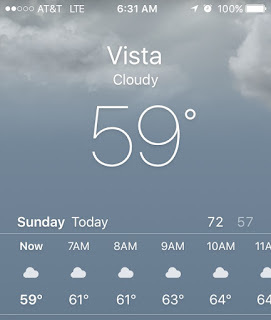 We've been dealing with May Gray lately so we were expecting dreary and humid weather (and we were not disappointed). 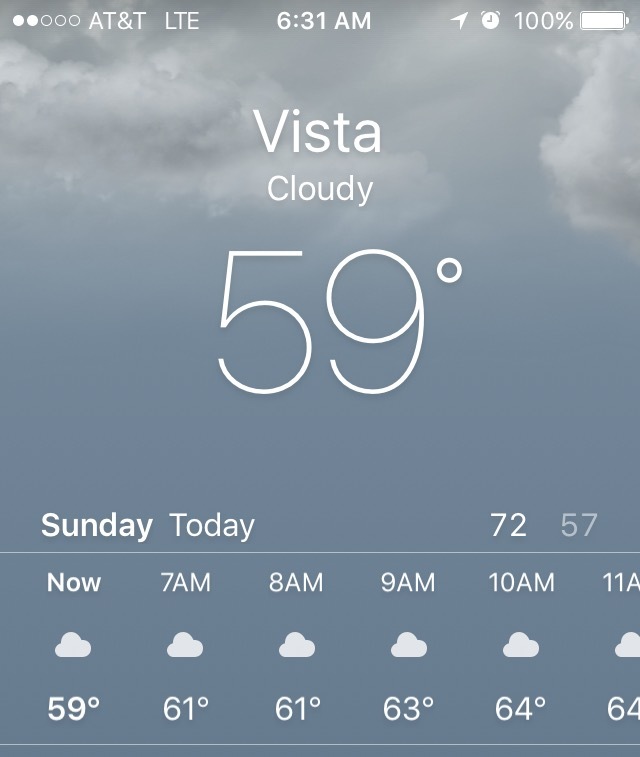 It's always funny because you expect Memorial Day Weekend to be the kick-off of summer, yet the weather never really feels that way in these parts (even with the HIGH Sunshine Tax we pay). We were able to leave the house around 6:15am, get parked by 6:30am, get over to the start by 6:35am, use the port-o-potties by 6:40am and find some of our friends at the start line before the National Anthem was sung. Local races are the best, am I right?! We look SO ready for this fun run, right?! I had asked Ryan the day before what our game plan should be for the race. He said he was down for a "fun run". He joked and said we would stop for all of the characters along the course (he must runDisney too much ;)), so I knew we would be taking it easy. 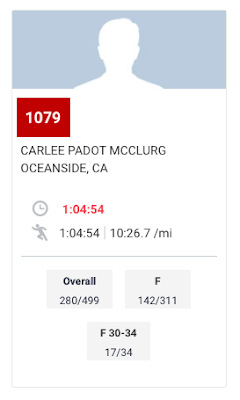 With that said, we decided to stick with Linzie and Sarah who were taking it easy as well since they were running BACK-TO-BACK RACES (yup, they registered for both the 10K AND the 5K!). 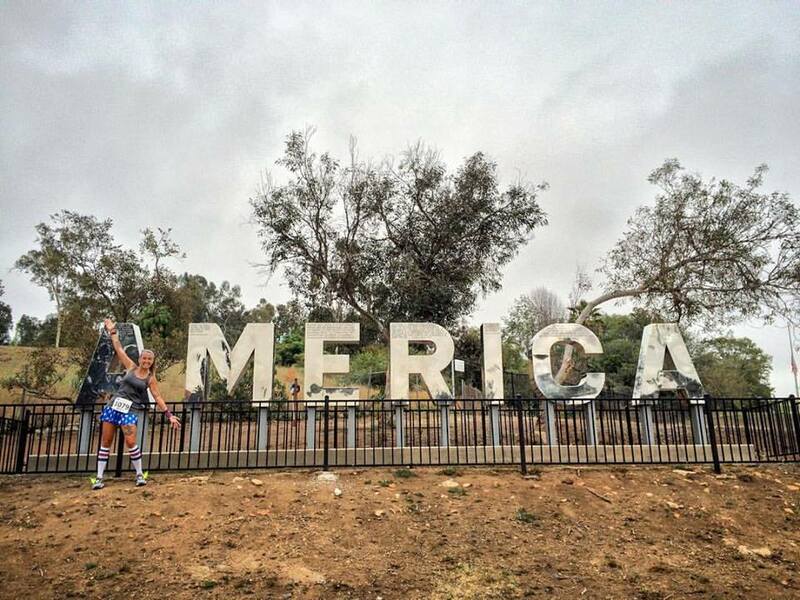 When we saw a HUGE America sign on the course we knew we needed to stop. I mean, did you see my outfit?! And of course I thought it would be super funny if I would stand in front of the A for the picture. 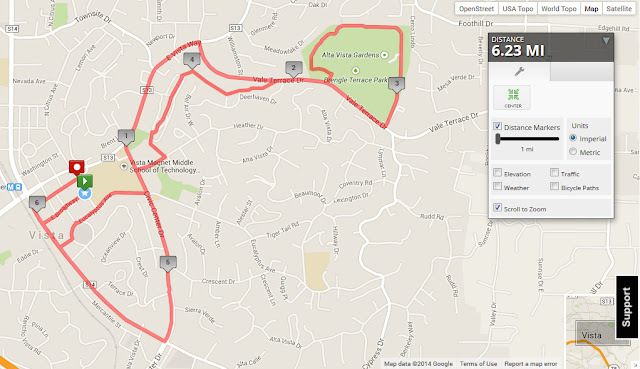 The 10K course has two decent hills on it (one through Brengal Terrace and the other along the streets of Vista). Since no one was out there to be a hero, we took them easy and walked when we needed to (don't you forget, Linzie, Sarah and I will all be tackling the #Fontana2SD challenge this upcoming weekend and need to save our legs for that). I have to say, I LOVE the new course! Putting the Brengal Terrace hill earlier in the race makes it seem a little less daunting. Also, there seemed to be less winds and turns at the end. I hope this new course stays around for years to come (since obviously you know we will be back in the future!). The one drawback was the lack of water on the course. There were two water stops, but for some reason it seemed a bit insufficient. Maybe it was the humidity, maybe it was the longer time on the course or maybe it was runners around us asking about water that reminded me how long it was between stops - but whatever the case I would have loved one more aid station along the run. Go Speed Racer, Go Go Speed Racer! Look at Colin! He LOVES to #RunHappy and #KeepItTight! Linzie CRUSHING it in his strawberry themes attire! The finishers area was nice. After crossing the finish line you are funneled into a park where you pick up your bling and berries (yup, everyone gets a baggie of strawberries, along with a portion of bagel, a half of banana and a cup of water). They also have a backdrop where you can take pictures with fun signs. Obviously Ryan and I were ALL ABOUT IT! 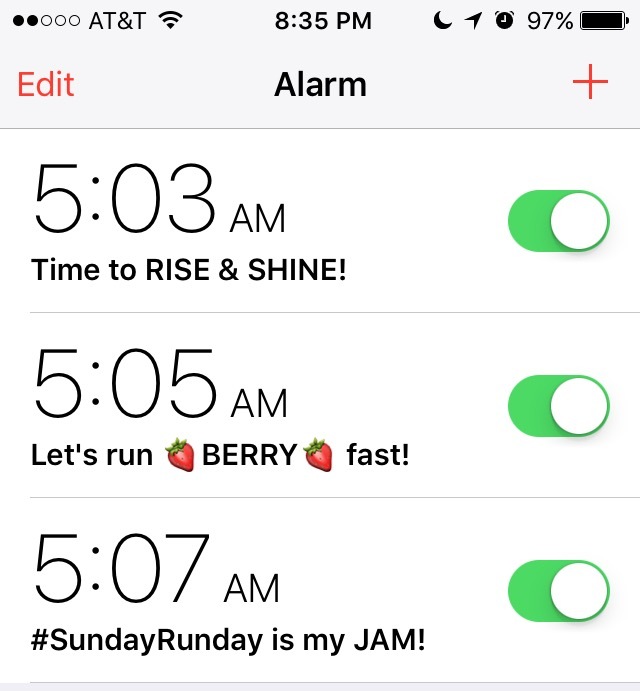 Who doesn't love running BERRY FAST?! You all know I love a good #ArmParty, right?! The beer garden (and reason that Ryan runs this race year-after-year) didn't open until 8:30am, so we decided we would go back out and cheer on the 5K runners. It was just about perfect timing because once we saw all of our friends the beer garden had opened and we made our way over to pick up our complimentary drinks (I don't drink beer so Ryan lucks out and gets one free beer with his bib and one with mine #BestWifeAward). We also found some of our friends who were coming for the kids races (not only do they offer a 10K and 5K, but there is also an 8 years old and over 1-miler, an 8 years old and under 1-miler and a 1/4-miler for the wee-ones). I love seeing kids getting stoked about running! 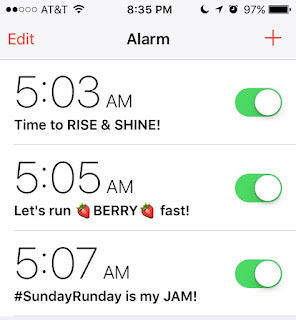 It was a BERRY AWESOME morning with great friends and a fun run. Not only is this an excellent little local race, it is a reminder at how far I've come in my journey. I normally don't race it for time, but it is still great to return to your running roots whenever you can and just enjoy the run! As long as we are in town for the Memorial Day Weekend, I am sure this is a race that will continue to find its way on our race calendar (and, shoot, maybe next year I will even consider the double race option!). What is your "anniversary" race? And do you make sure to do it year after year? One day we will actually see each other at this race!